When 26/11 happened, IPS officer of 1969 batch Anil Choudhary was senior advisor in the National Technical Research Organisation (NTRO) after his retirement in 2005. NTRO, formerly known as National Technical Facilities Organization (NTFO), was founded under the direction of Bharatiya Janata Party leader L K Advani when he was heading the home ministry. Choudhary was then secretary (Internal Security) in the ministry of home affairs. In his long career Choudhary has served in the Intelligence Bureau where he served as special director before moving on. He has a vast experience in counter-terrorism in Jammu & Kashmir and the North East. Choudhary has also served as minister, community affairs in the embassy of India, Washington D C NTRO. 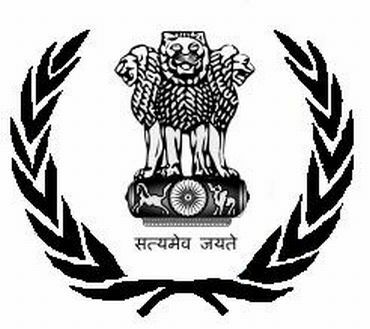 The country's premier technical intelligence agency was set up seven years ago after intrusions in Kargil on recommendations of the Kargil committee report headed by Gary Saxena, former chief of R&AW. NTRO has been involved in couple of scandals including one where spycam was misused to snoop on ladies in toilets of its headquarters in New Delhi. The organisation that has a huge responsibility to catch up with global technology to help counter-terrorism efforts has sadly underperformed in spite of crores of rupees at its disposal. In this exclusive two-part interview to rediff.com Anil Choudhary gives insight into why NTRO, which reports to the prime minister's office, failed to come up to expectations. He also suggests how India could tighten its security apparatus. This is the first of a two-part interview with Choudhary. What was your take on 26/11 as and when it happened? November 26, was a very sad and shocking day. It showed how unprepared we were to face terror attack from the coastal area. Our preparedness to face the attack from across land border is certainly better but I think we had ignored the soft underbelly of our internal security which was the coastal areas. We had only focused on land borders with Pakistan to stop infiltration. This terrorist act was carried out by people who had actually infiltrated or breached the coastal border. They came, right in the heart of the city of Mumbai. The terrorists took advantage of the hotchpotch in jurisdiction of the Indian Navy, coast guards etc. in controlling the high seas. 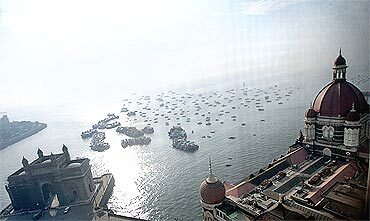 The Indian Navy guards our seas, but up to 15 nautical miles it's guarded by the coast guard and 5 nautical miles by the police; there is practically enough patrolling. In the past smugglers made use of this confusion, but this time it was a terrorist strike. Can you explain why the NTRO has failed to take off? You know this was set up in the wake of the Kargil fiasco, after which there was a group of ministers who went into the failure to detect infiltration on our border in Kargil by defence forces and also by the intelligence agencies. The GOM set up several task forces to go into the entire border security and defence intelligence. They also looked into the intelligence apparatus for both internal and external security. In that task force report, which was headed by former governor of J&K and former chief of R&AW, Gary Saxena, many recommendations were made. The task force found that there were deficiencies and gaps in technical intelligence generation capabilities of the various intelligence agencies including defence and perhaps the weakest link was the technical intelligence. NTRO was looking at very high technology-based intelligence. We have made progress in certain private and quieter areas. We have made good progress in the area of satellite imagery for instance. But in more controversial areas like interception of cyber traffic, protecting our cyberspace and telecommunications from invasions, NTRO's efforts have always run into trouble. The idea was that the NTRO will be a neutral platform for supplying real time intelligence to all agencies. It was to supply intelligence to RAW, IB and even to the state agencies. The Kargil committee had two options before it. Either to strengthen the existing capabilities of individual agencies or to create a new agency that would be the apex technical intelligence agency. The idea was that a new agency would not be an intelligence agency as such but would advice the government. But the idea of a new agency was to supply whatever technical help was required by the defence forces, by RAW and by the IB for internal security. Unfortunately the first incumbent R S Bedi, who was selected to lead this new organisation, was from the RAW. He was perhaps the senior-most RAW officer who was superseded. He didn't come in a happy mood. C D Sahay became chief of RAW even when he was junior to Bedi. He tried to out do the RAW while in NTRO. RAW was a parallel intelligence agency. Then, everything went wrong. There was a lot of conflict between RAW and NTRO. Lot of time was wasted in the squabble and then, the government thought okay maybe not an intelligence officer let the scientist head it. But, the point is that, in my humble view having spent three years in that organisation there is this agency to generate technical intelligence. The perspective has to be intelligence of any analysis done here. It has to be useful and actionable intelligence for all agencies. So, NTRO has to be headed by a person who knows what is required by the agencies and not by a scientist who knows how to do research on the given project.